The Carbon High School Student Government is ready for another successful year of their Carbon Christmas fundraiser. This annual holiday event hosts various activities throughout the community to earn money during the month of December. “We raise money for families in our community that cannot afford a Christmas so everything stays local,” stated Student Body Officer, Brianna Moosman. “We donate our proceeds to United Way because families register with them and we help buy toys, coats, clothes, boots and we also help pay for heating bills, electric bills, groceries – just to give the families a few months where they can be on their feet and not have to worry about it. It goes farther than giving families a Christmas.” The student government officers encourage the entire student body to help with all the planned Christmas fundraising activities. On Thursday, November 6 is the Carbon Christmas Celebration which is geared for all local elementary-aged children in the community. Families can come to enjoy a soup dinner and the children can enjoy several crafts activities. Evening entertainment will be provided if families wish to stay for the Carbon’s Got Talent competition. Admission to the event is a $1.00 suggested donation. The Annual Christmas Treasure’s Craft fair will be held on Saturday, December 8 from 9:00 am to 5:00 pm. There will be several vendor booths, entertainment, food and door prizes. The cost for admission is $.50. Student’s can be found in front of Lin’s Fresh Market and Walmart in the evenings Christmas Caroling and gathering cash donations for the cause. 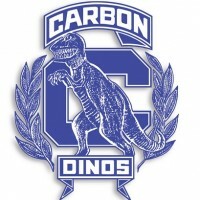 If community members have any questions about Carbon Christmas, they may contact the school at 637-2463.